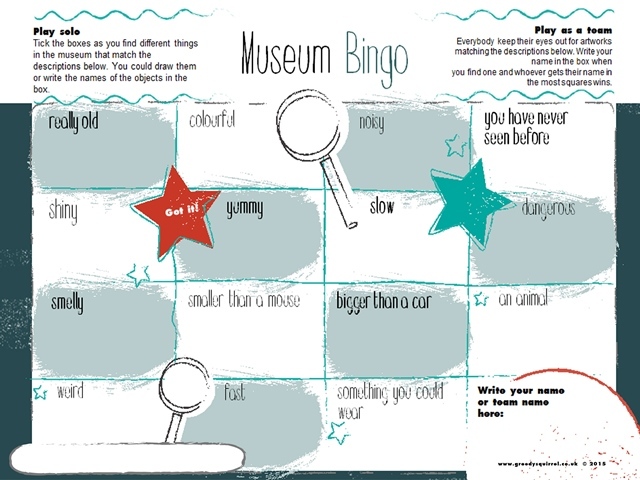 Museum bingo is a ready-to-go, simple activity sheet ideal for children to do alone, or families to play together. The descriptive words encourage children to think more about objects and displays rather than hunting for specific items. Offer a small prize to anyone who gets a full house. 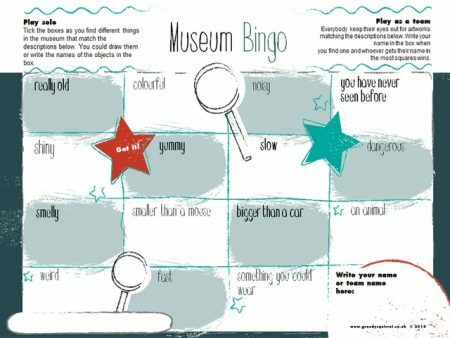 Encourage visitors to be creative in what they choose for each one and maybe offer a weekly prize to the best bingo sheet. We can personalise any of our resources to suit your organisations brand, and change content to suit your site or collection. 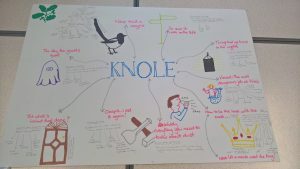 Or maybe you would like an activity totally customised, bespoke to your organisation? To chat about this and more get in touch. Bespoke prices are based on requirements and lead time. This is a downloadable product delivered by email on receipt of payment. All our prices are ex VAT. When you purchase this activity sheet you will get a PDF file which is ready to print and use. You will also receive an editable Power Point version so can add your site name and logo. You will also receive full instructions on how to use all of the above. File formats: Power Point and PDF. We’re super proud of our products. We’ve spent a lot of time and energy coming up with the ideas for resources, developing them, testing them and creating them for you, all of this available to you, at just pocket money prices. As such, we gratefully ask you to respect our intellectual property. Please take a moment to read our copyright page to check you are able to use these products as you anticipate. Please see FAQ’s for more info or if you are unsure, please contact us. 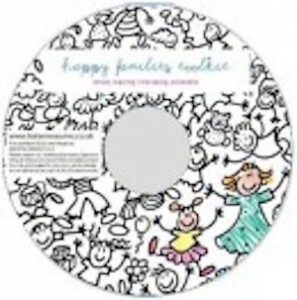 A must for anyone interested in improving their offer for family audiences. It is suitable for indoors or outdoor sites, large or small. 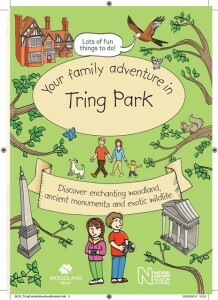 It will help you create shared, memorable, valued and magical visitor experiences for families.